I’m a bit lazier as a cook in the summer. I tend to stay closer to the raw foods and make a variety of summer salads (like tomato basil mozzarella!). It’s just too hot to turn on the stove, and there are so many other things to do! However, I can always be convinced to make pasta. And although I hate to admit it, I guess the summer seems to be winding down and there have been more evenings where I feel inspired (and cool enough!) to use the stove. 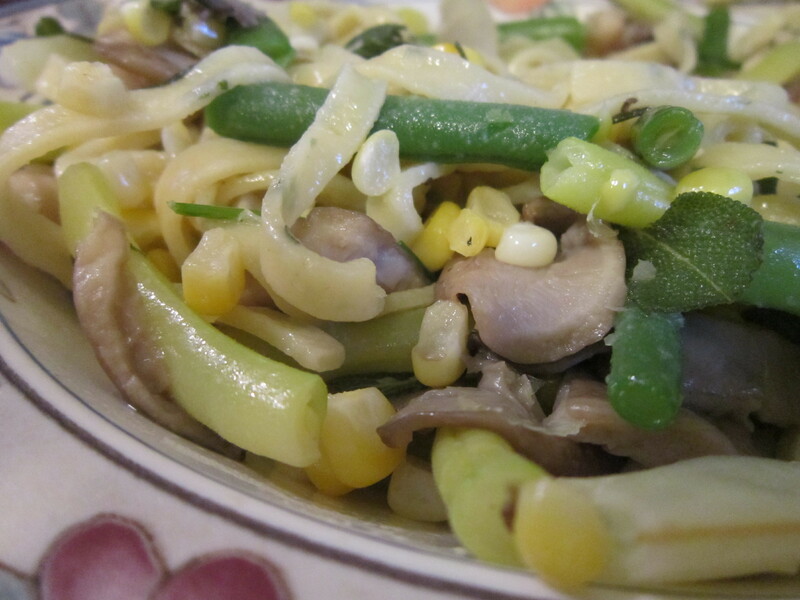 Dishes similar to pasta primavera can be made throughout the summer by changing ingredients as vegetables come and go. A pasta dish I made the other night started with some herbs, was made heartier with fresh vegetables and mushrooms, and was tied together with freshly made pasta from Ohio City Pasta. 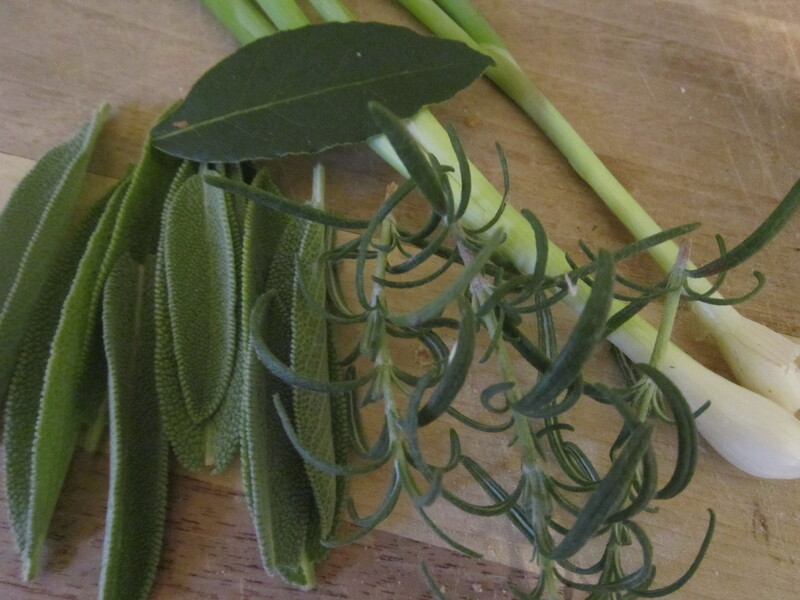 As I walked around outside, I plucked some sage, rosemary, and I decided to grab a bay leaf. I also walked by my green onions and thought, why not? They’ll make a nice addition, too. I started by boiling water and throwing in some beans (~ 3 minutes). Diverse beans make everything more fun! In the meantime, I warmed butter in a frying pan and added garlic, green onions, the herbs, and 1/4 lb. shitake mushrooms (cooked until the mushrooms softened). I added fresh pasta to the boiling water that was cooking the beans (and cooked for another ~2 minutes). 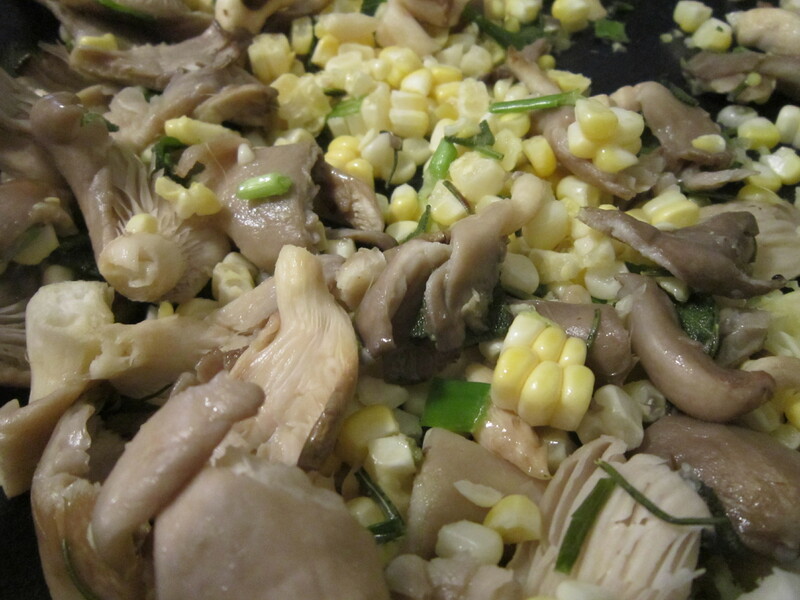 And then I added corn sliced straight off of the cob to the frying pan with the other vegetables and mushrooms. I then drained the pasta + beans and added both to the frying pan to toss everything together. Another way to enjoy a local foods pasta! Cheers to fresh, local, seasonal food! Enjoy it! What have you put together out of your garden lately? 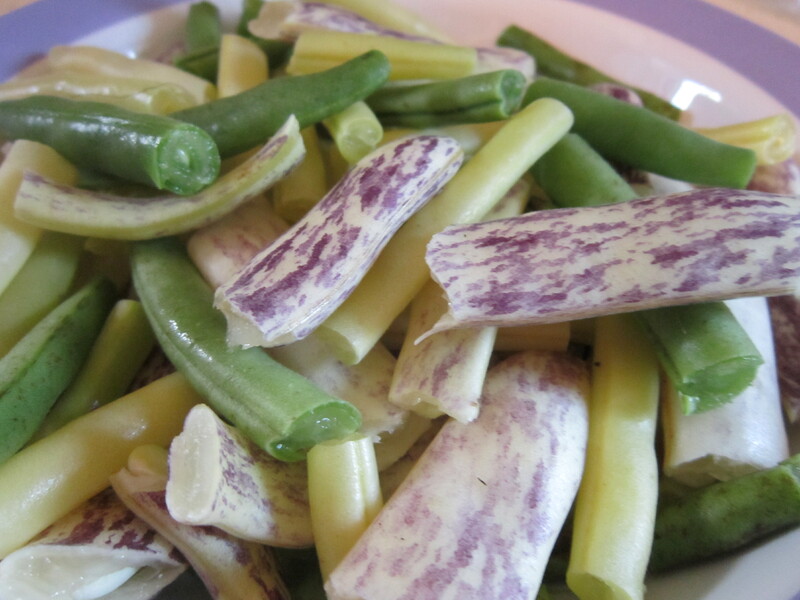 When it comes to eating vegetables (and fruits) at Tufts, it can be difficult. Prices of these items can be high, some may not taste great to you, they may not be easy to find outside of the dining halls, you may not know how to prepare them, and more. Thinking about eating more and finding ways to do so, however, will increase your intake. By eating more veggies and fruits, you’ll eat less of other foods that may not be as healthful and have a better overall diet.